Some people might credit the Mayas with the invention of chocolate. Of course, they are right. But it took the inventiveness of the Swiss to turn the contents of cocoa beans into something that billions of earthlings will die for. Because if it was not for the ingenious revelation that the brittle bars of the 1800's taste better when blended with Swiss milk powder, we would all still be sipping on Mayan Xocoatl. It was in 1879 when one Rodolphe Lindt (pictured to the left of Mamiko) invented "conche", the secret tool that made chocolate all tender and is still used today to produce that smooth, silky Swiss chocolate we all love. There is an expression in Swiss German for those jobs that are hardly tough at all: Schoggi Job. This term was definitively not coined by Mr. Stefan Bruderer, Lindt Maître Chocolatier, or any of his family members who hardly ever see him. 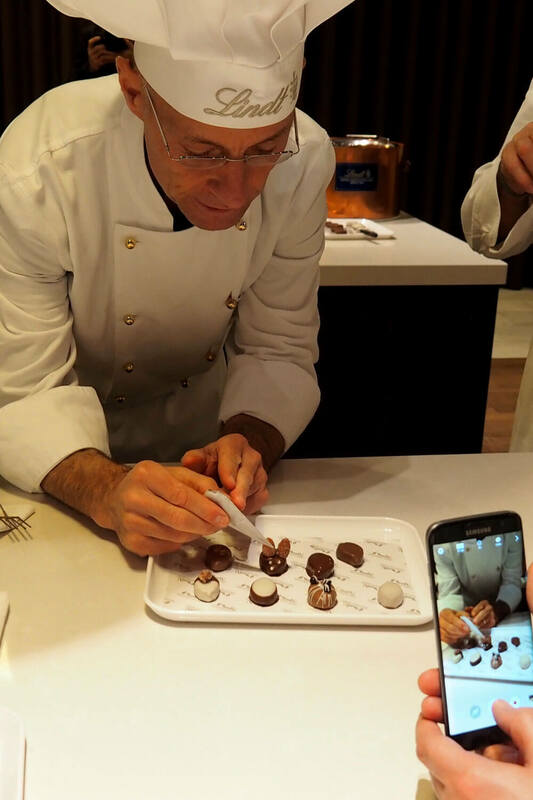 That's because when Mr. Bruderer is not in his chocolate factory near Zürich sampling his way through a dozen variations of pralines that will boost the hashtag #chocolicious on Instagram, he may be visiting an indigenous market somewhere in the Amazon. Eating chocolate for breakfast, lunch and dinner while traveling the world on company expenses is not exactly a Schoggi Job. 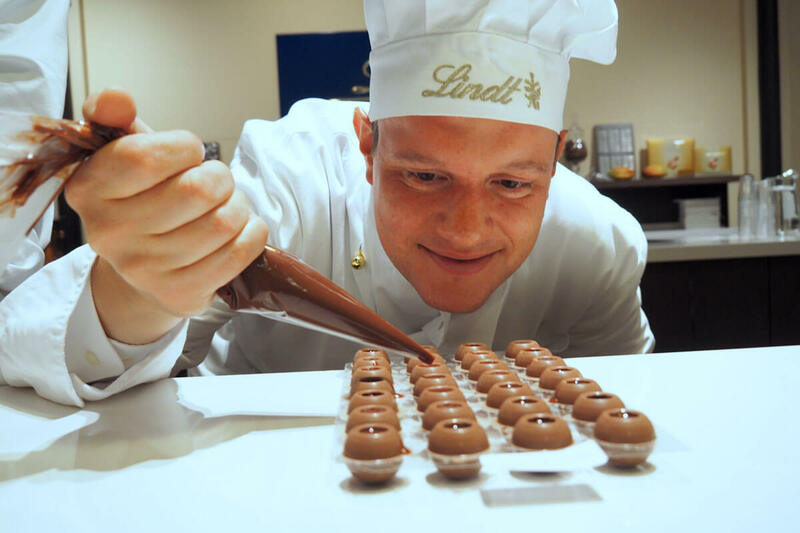 Mr. Bruderer is also in charge of 16 Maîtres Chocolatiers at the Lindt corporate headquarters here in Zurich. When wine meets chocolate, magic happens. On a recent weeknight, we were invited to meet the kind people at Lindt for their first ever wine and chocolate tasting. Unfortunately, Roger Federer called in a last minute cancellation. But even without him, we enjoyed the company among chocolate lovers as we tasted our way through some very exclusive pairings. Sommelière Cecile Richards is our star this evening. She has hand picked some fine vintages and port wines to match the lineup of Lindt chocolates: Austrian Kracher Cuvée Auslese 2013 with Chili Noir, Portugese Taylor's Port Ruby Select with Fleur de Sel, or Spanish Lustau Rare Cream Sherry with Caramel à Pointe de Sel. Our instinct has been to pair dark chocolate with heavy reds, but Mrs. Richards has taught us otherwise. This was a truly unique event, and we hope that it will get a permanent slot at the Lindt chocolate factory! Then, as if sampling wine and chocolate was not enough, the kind chocolatiers invited us inside the Lindt Chocolate Workshop. 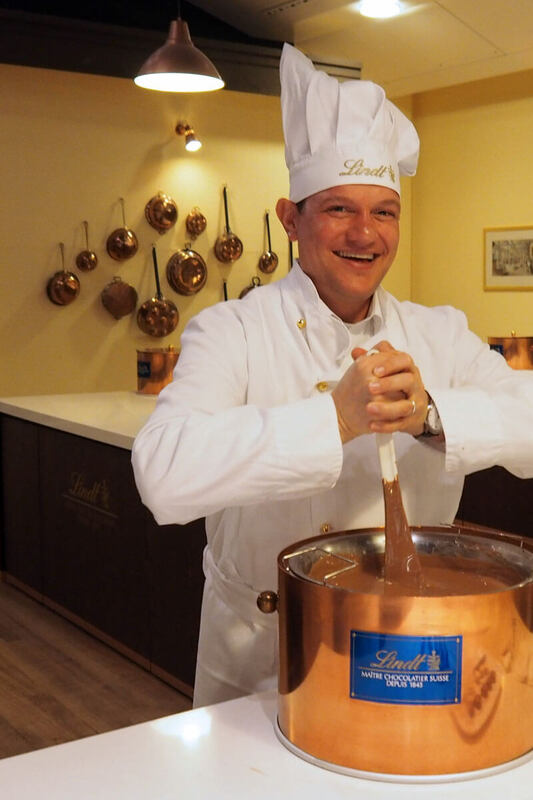 The Lindt Chocolate Workshop is open to the public, but spaces sell out quickly. We count ourselves lucky and proceed to the first step before entering the workshop area: To get dressed in a white apron and one of the iconic chocolatier hats we all know from the commercials. Inside, there are six preparation stations with a large pot of melted chocolate each. Some pots contain white chocolate, others milk or dark chocolate. Our instructor explains that we will be creating our very own champagne filled chocolate pralines! 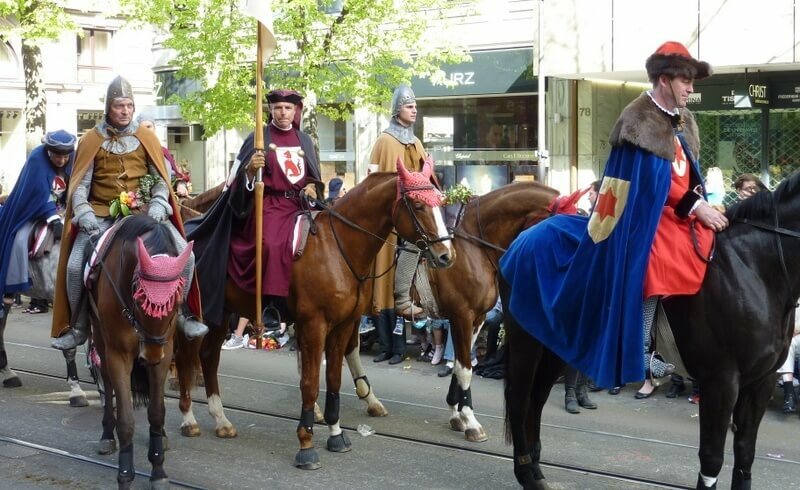 Wine and chocolate encapsulate the essence of the Swiss lifestyle. Thank you, Lindt & Sprüngli, for seducing us in your chocolate factory! Now, read about Rio's experience at the Lindt Chocolate Workshop.